What Happens When Financing Falls Through? Q: I’m buying an old house, and the offer subject to financing. But what happens if the bank doesn’t approve the house and my financing falls through at the last minute? A: If your financing falls through at the last minute, we would advise to get an extension on your subject removal date and not remove subjects until your financing is in place. When you put an offer to purchase a home, you are saying that you will be buying the home provided all the conditions are fulfilled prior to you giving a deposit. Those conditions are commonly refer to as “subject,” such as subject to inspection, review of the strata minutes, financing, etc. During this time you will do your due diligence along with your real estate agent and mortgage expert via the lender. 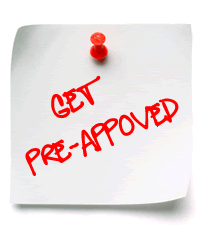 Prior to putting an offer, you would have been pre-approved or pre-qualified. While the lender might have approved you, they have still not approved the property you are purchasing. Once you have an accepted offer the lender will issue a commitment letter agreeing to approve your mortgage provided you can fulfill the financing conditions. Some of these conditions include income confirmation, source of down payment, appraisal (if required), and approval of property such as property disclosure statement, strata minutes, Form B, etc. It is critical that the lender reviews and approves all of these documents before removing subjects. There has been cases where the lender has no issues with the borrowers but has issues with the property and therefore will not approve the financing. When you work with a bank you only have one option, but when you work with a mortgage expert because we have access to multiple lenders if one lender doesn’t approve the mortgage, then we are able to go to another lender. This will save time and stress to the client. We have seen many situation in which the lender is not comfortable with the property so, in order to get financing with other lenders, an extension of one or two days is required to ensure all financing conditions are fulfilled and the client feels comfortable in removing subjects. Categories: First Time Buyers, Mortgage basics, Purchase | Tags: down payment, financing, financing conditions, mortgage, mortgage expert, mortgage lender, pre-approved, pre-qualified, purchase a home, subject removal | Permalink. Financial Literacy presentation for adults & the entire family (ages 12 & up)! You are invited to a complimentary presentation on Financial Literacy for adults & the entire family (ages 12 & up)! You don’t have to look very far to read an article in the newspaper or watch a segment in the news talking about the lack of education when it comes to teaching youth and adults the basics about Financial Literacy. We will be hosting an educational presentation on Financial Literacy for adults and the entire family (ages 12 and up)! While the topic of Financial Literacy can be dry, dull and boring this presentation was designed to be an incredibly powerful program that will both educate and entertain. This presentation will provide some good information about the understanding of money management and investing. The presentation is based on the EnRiched Academy program that was endorsed by Jim Treliving and Bruce Croxon from the Dragon’s Den. Saturday, November 2nd from 10 am to noon at Collingwood Neighbourhood House located at 5288 Joyce Street, Vancouver (room A multi-purpose room on the main level). Saturday, November 16th from 10 am to noon at the Fleetwood Community Centre located at 15996 – 84th Avenue, Surrey (room 3). Categories: Mortgage basics, Saving money | Tags: compunding interest, credit cards, credit score, debt, educational presentation, financial literacy, financing, good debt, saving money | Permalink.